2016 was a momentous year for Clickworks with a number of major changes and achievements. The agency has grown in size and talent with an increased client list and a number of keystone projects, successfully delivered. 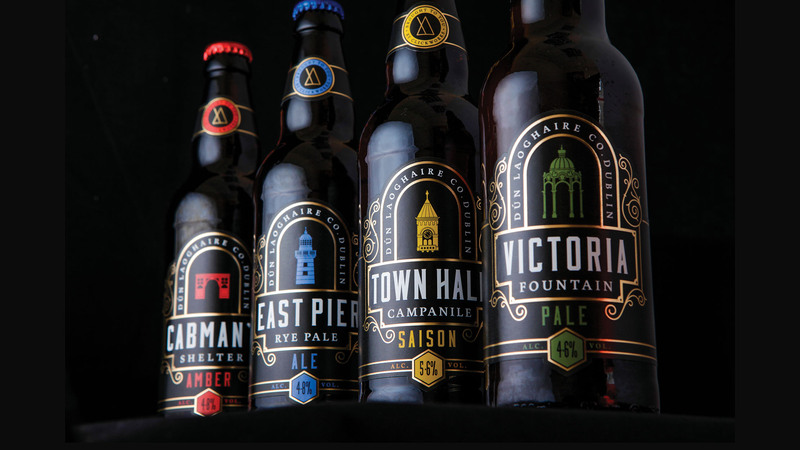 Two of the major events were the move of the studio to the inspiring, maritime town of Dún Laoghaire and the addition of a Packaging Design department under the leadership of Rory Dowling. 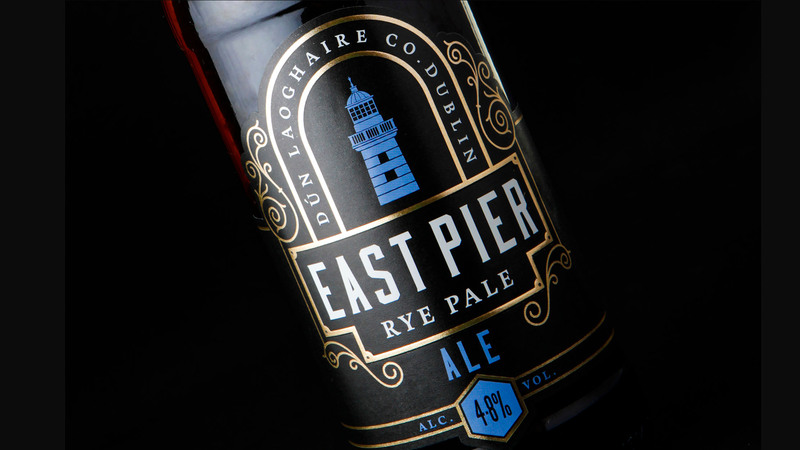 To celebrate a momentous year and showcase our new environs and capabilities we decided to create our own branded Dún Laoghaire beer. Dún Laoghaire with its wonderful sea air, rich maritime heritage and elegant architecture has proved hugely inspiring to our team. The vibrant mix of modernity and tradition co-existing is a constant source of energy and inspiration. Our designs put the spotlight on some of the key architectural monuments of Dún Laoghaire; the lighthouse standing sentinel at the end of the majestic East Pier, the campanile of the imposing Lombardo-Romanesque Town Hall, the richly ornate Victoria Fountain and the humble but charming Cabman’s Shelters. These iconic structures were distilled into striking graphic silhouettes in by our design team. Dún Laoghaire is home to some of the finest examples of decorative wrought and cast iron craftsmanship in Ireland from the gateposts of the People’s Park to the beautiful bandstands and pavilions. Inspired by this rich source, our design places our icons in decorative arched frames, which curl seductively in glistening copper tones. Striking authentic typefaces were chosen to accurately represent the Victorian period. Working closely with the talented team at distinguished print house, Label Tech, high quality substrates, finishes and varnishes were chosen to give the subtle, rich, luxurious tone of the printed labels. To complement our painstaking handcrafted approach we needed to source four great beers, brewed with the same loving attention to detail and craft. We partnered with Black Donkey Brewing, deep in the heart of County Roscommon. 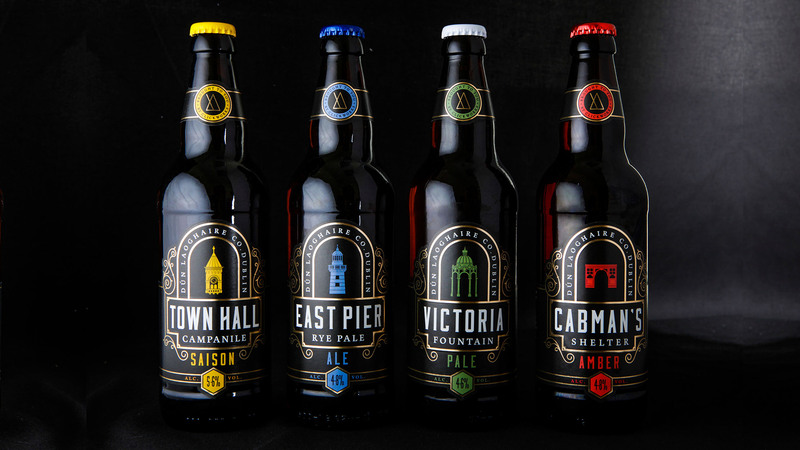 Their rich, complex beers gave us four diverse and distinctive brews that we were proud to dress with our new livery.